Curve Studios have really been on a roll lately. Them, or the studios they publish for have proven to consistently create some great games with well realised atmospheres and interesting gameplay mechanics. The Swapper is no exception. While I put in a notable amount of time with the Playstation 4 version earlier this year, the game has finally made its way to the Wii U eShop and it’s just as great here as it was there. So yeas, while it’s late, it’s nice to see that the Wii U hasn’t gotten the short end of the stick when it comes to functionality or whatnot. The Swapper’s basic premise is pretty simple. The human race has exhausted their natural resources so outposts have been built in deep space to harvest materials to be brought back to earth. On one of these outposts, the scientists have developed “The Swapper”, a tool of sorts that allows the user to crate clones and transfer consciousness between them. Of course, some workers aboard the outpost claim it’s a dangerous and unethical tool and shun it immediately. The game begins as you play an unnamed worker who discovers The Swapper aboard an abandoned space station – and must find their own way out of the station. It’s an intriguing and engrossing ride from beginning to end. The Swapper’s method of storytelling is incredibly subtle and almost cerebral. Nothing is explicitly told to the player but it’s possible to piece together exactly what’s happening based on logs and even environmental cues scattered throughout the game. It is part exploration and adventure, part horror. But The Swapper doesn’t feature any pervasive stalker enemies or awkward chase sequences. It’s a puzzle game that lets you approach things at your own pace. In fact, most of the horror will only really be apparent for those who immerse themselves in the game’s world, uncovering chilling revelations and facts about the station through audio logs and other text collectibles. For the film buffs in my readership, it’s tone resonates with similar feelings that films like Moon and 2001: A Space Odyssey did for me too. 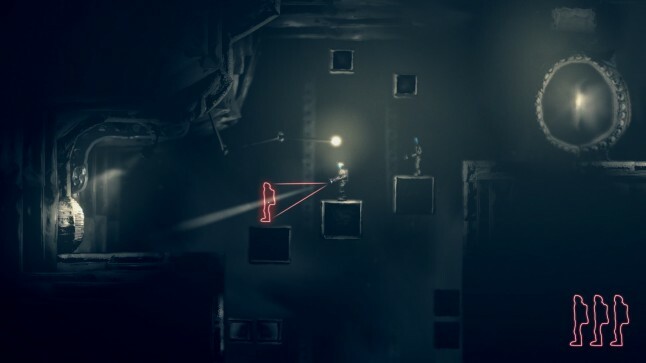 Much like Portal and Stealth Inc. 2, The Swapper modulates it’s puzzle design by only allowing players to explore a small part of the ship at a time, gating all progression behind collectible orbs which are earned by completing said puzzles. 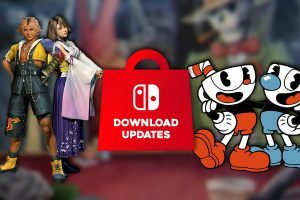 Essentially this means that players who want to do the bare minimum to get by and enjoy the story can do so, but those who want to be challenged a little bit more can explore the ship fully to see everything the game has to offer. There are some tinges of backtracking, but nowhere near anything as complex as games like Castlevania or Metroid. But unlike those games, The Swapper doesn’t give the player a whole heap of tools to play around with. All you’ve got is your Swapper tool itself and your four clones. During gameplay, your character can create up to four clones and swap control between them at any given time. Clones move along with the player – if you move forward they’ll move forward too. Obviously a majority of the challenge comes from trying to create an optimal path for your clones by intentionally obstructing their path to vary the distances at which they travel or getting them to hit four switches together. It sounds confusing but it all comes together rather well and thankfully remains pretty varied as the game progresses. 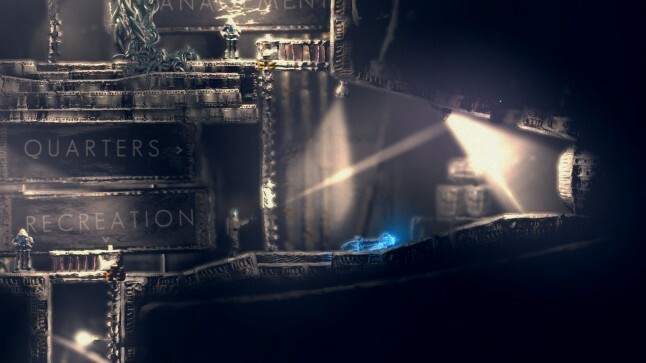 To keep things interesting, the game also introduces different light sources and even gravity pads throughout the ship. 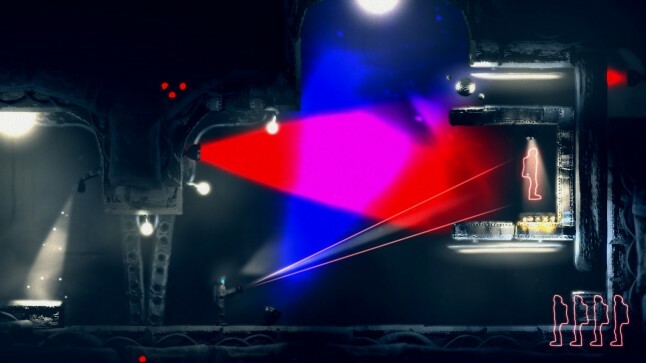 Blue lights prevent clones from being created in the areas that they cover, while red light stops the player from taking control of any clones standing in the areas they cover. They’re simple mechanics but they help add a great air of difficulty to the puzzles. 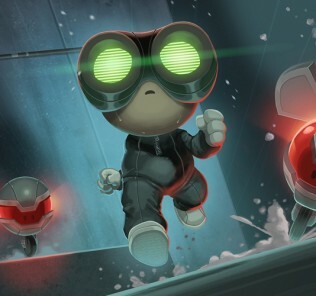 The puzzles themselves are well paced between moments of “down-time” and/or exploration, introducing new features or ramping up the difficulty in what feels like a pretty consistent rhythm. There’s no major difficulty spikes throughout and there’s very rarely a moment where a puzzle feels unfair or unsolvable though I will admit on this play through, despite playing the game previously, I still made some very stupid mistakes where the solution was much more simpler than I was imagining it to be. The controls really lend themselves to making both the exploration and puzzle solving in The Swapper rather enjoyable. My favourite aspect of the controls is that whenever you are using The Swapper to put out a clone and choosing which position to put it into, that time will slow down. This opens the gameplay up to all kinds of clever situations and gives a vertical element to the puzzle solving and traversal. Attempting to reach the bottom of a long hole? Constantly create clones and switch consciousness with them to lessen the blow of the fall. Its simple things like this that makes the puzzles of The Swapper simply sublime, even if it’s slightly disturbing to see your other clones fall to their deaths after you land safely. Making its jump to Wii U, The Swapper does utilise some of the unique functions of the console but it’s by no means anything ground-breaking. Whenever a log is picked up in game, it is displayed on the GamePad which presumably mimics your character looking down to read it himself. The map is also displayed on the GamePad, but the game is quite well designed so it’s rare you’ll get lost anyway. Still, they’re nice touches. For most players, the whole experience will be over from anywhere between five and ten hours, though this will greatly vary depending on how proficient or savvy the player is with these kinds of games or problem solving skills. There are secret terminals to find throughout the game world too, which elaborate on the game’s backstory but most are so hidden I’d find it hard to believe anyone could find all of them without a guide. 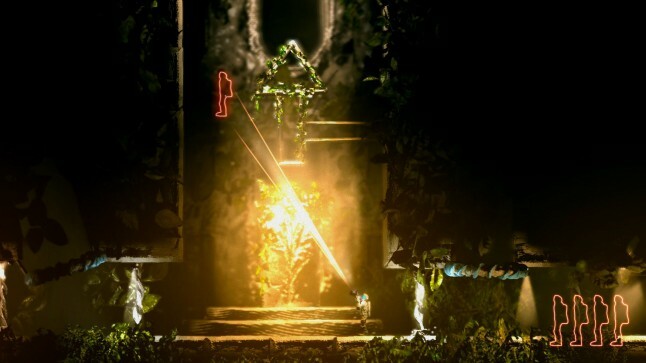 Outside of that there is admittedly not a lot of replay value for The Swapper outside of replaying the game entirely to see an alternate ending – an exercise that may be seen as one of tedium rather than enthusiasm for some players. 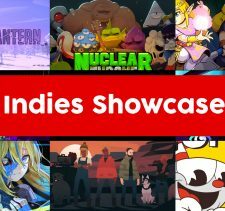 The visual presentation of the game is pretty unique and that’s most probably because of how it’s been built. The game and most of the locales were all built in clay and then digitised to give the game a unique look. It’s definitely paid off, and until Kirby and the Rainbow Curse is released, I can’t think of any other game that’s done such a fantastic job with clay. Presumably to add to the game’s atmosphere, it also employs a lot of darker palettes and while they can get boring from time to time the game always knows when this is about to happen and throws an abstract or unique location at the player too. All in all, it’s rather varied and very well done. The sound design is similarly quite fantastic, with many of the ambient noises having a subtlety to them that comes across as eerie rather than downright scary or dread inducing. Make no mistakes, this is a game you’ll want to be playing with headphones. The music is similarly quite sombre and rarely will get you “going” so to speak but rather help to let you just sink into the game world and the isolationist feeling it’s going for. 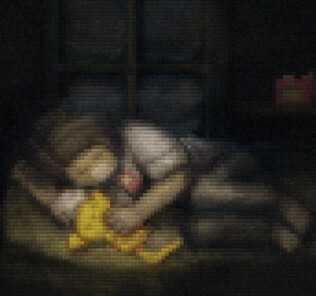 Slow and melodic piano pieces help give the game an unsettling and very melancholy vibe too. For the most part though you’ll be listening to a very low humming noise as well as your own players footsteps which helps you get into things rather easily. 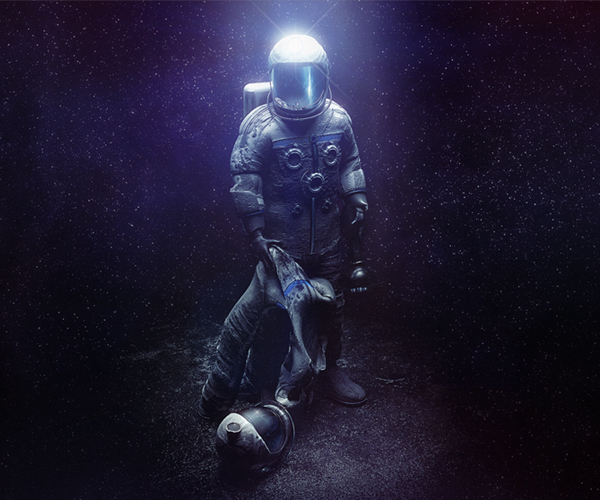 The Swapper is a pretty fantastic game and a cerebral science fiction experience that many other films and games fail to provide within this genre. It’s not an epic, all-encompassing race to save the world nor is it a cheesy soap opera derived game of twists and turns. It’s just a very laid back experience that can be cruised through rather casually. If you want to take in the story, everything is there for you to do so. If you want to just play a fun and unique puzzle game, the gameplay mechanics are well tuned to allow you to do so. It’s really up to you. 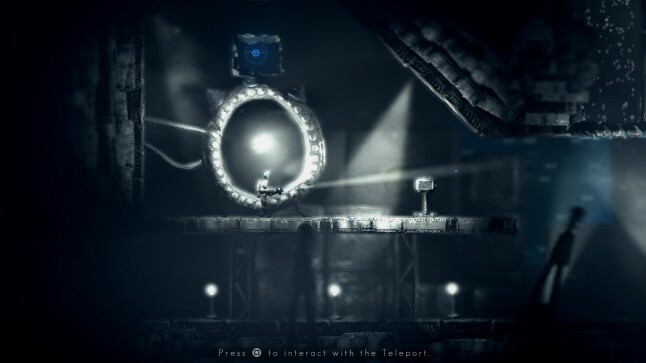 The Swapper is one of the better, if not one of the best experiences available on the Wii U eShop and I really recommend anyone who is a fan of science fiction, puzzle games, or both to give it a go.